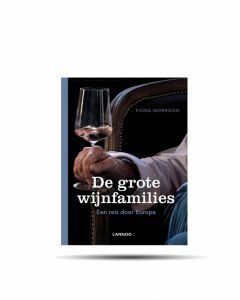 For the last year, I have spent time visiting ten extraordinary family-run wine estates throughout Europe researching a book on Great Wine Families which will be published this month by Lannoo in Dutch. 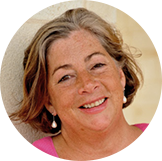 I wanted to examine the changes that have happened in the wine world over the last few decades and understand the reasons why some producers have had enormous success and have risen to the top of the wine hierarchy. What are the ingredients that help some producers survive? I had a hunch that family companies with reputations to preserve and a legacy to protect fared better than those estates owned by corporations. At a time when several famous estates have fallen out of family hands and into large corporations (Cos d’Estournel, Troplong Mondot, Clos de Tart, Château Grillet to name just a few), the challenge of keeping a famous wine estate going is even more acute. The wine world has seen a huge change over the last few decades. The wine business has gone global thanks to the internet, and a new world has opened up which includes wealthy wine drinkers, worldwide fame and the sort of celebrity status which used to be accorded to film stars, sportsmen and women or Michelin starred chefs. Until recently these producers were just content to be wine farmers and their sphere of reference was very local. Wine has become both democratized and elitist. We have never been so well informed about wine nor has it been so accessible: competitions, promotions, scores, blogs, books and reviews abound. At the other end of the scale, the top wines which were until recently the privilege of royalty, Oxbridge colleges, seats of government and embassies and the occasional fanatical collector are now offered to a select group of extremely rich wine lovers through winemakers’ dinners and gala parties at selected domains and châteaux. Great wines, produced in small quantities by well-known winemakers, have become luxury products and now command stratospheric prices. The gap between the “blue chip” wines purchased for either investment, status bragging rights or pure drinking pleasure and the average wine purchased for everyday drinking can be over €1,000. There is more motivation to succeed in the wine business today, and where a couple of generations ago famous wine producers’ children were heading for the cities to find a different career, it is with pride that today’s generations take on their parents’ mantles knowing they can fulfill their ambitions. The enology schools and viticulture colleges have never been so full. What makes the difference between a family-run and a corporate-run winery? Can you taste it in the glass? Maybe not, but the person behind the label is as important to the wine lover as the taste of the wine, and when that person comes from a family tradition rooted in a vineyard with a taste of its own, there is a more emotional involvement – especially if those traditions go back several generations. That person is an integral part of the terroir or the sense of place that makes a vineyard so special. Many families regard their role as being guardians of the land that they were lucky to inherit and did not have to pay for; they feel that they are its custodians, at least for their generation. As my husband Jacques says about the 400-year-old family house that we live in: “We are just the current link in a very long chain.” The present generation want to build on that inheritance and leave their mark for the future generations to follow. To do this, they need to take a very long-term view and have enough capital and resources to weather the storms. Being able to manage family members and their expectations is of tantamount importance. Apart perhaps from a luxury car, a beautiful jacket or a fine wristwatch, most winemakers are not flashy or showy and their usual uniform is jeans. Keeping a family together is not easy. Harvard Business School estimates that 70% of family businesses are sold or taken over before the second generation and only 12% survive to the third. There is a saying that the first generation creates, the second generation profits and the third generation sells. Having read this far, you will probably have sensed the undercurrents of tensions present in many of the stories I tell. On their request and also because it serves no one, least of all the wine lover, I have often skirted around the murkier details of family struggles. Sometimes families can be so belligerent that their disagreements can ruin their family vineyards; a stark example of this is the great Mondavi family who, by the third generation, had to sell out in the 1980s to a major drinks corporation. To all of the other skills needed to run a family business, patience and diplomacy have to be added. With vineyards now fetching such enormous sums (grand cru Burgundy is up to almost €50 million a hectare) the temptation to sell is intense, especially when other family members not active in the business want out. In France where the Napoleonic Code decrees that all inheritance should be equally divided between the heirs, male and female, this has caused the division of many estates. Many of you reading this will understand what I am talking about if you run a family company. You will understand the vision, hard work and determination needed to run such a business. Apart from the high financial stakes that money has brought to the wine business, probably the greatest menace wine families face today is that of climate change, with increasingly violent weather bringing serious risks of hail, spring frosts, warmer temperatures and summer drought. Higher alcohol levels caused by higher temperatures are threatening the natural balance in wines and making them difficult to drink, let alone age. Precious grape varieties that families have cultivated for centuries may not be suitable to grow in their vineyards in the future. Spare a thought for all of them in the years to come, and when you have the chance to enjoy one of their wines, pause for a moment to think of all the history, culture and tenacity that have gone into that glass. "De grote wijnfamilies, een reis door Europa" is published by Lannoo (available from wednesday october 10th). Au cours de la dernière année, j'ai parcouru l'Europe en visitant dix grandes familles dans le vin qui ont profondément marqué la culture, les traditions, les goûts et les vins de leurs régions. J’ai logé chez eux, assisté à des réunions de famille intimes (pas toutes sans guerre!) et écouté leurs histoires. Celles-ci ont été rassemblées dans un livre de dix chapitres, chacun racontant la vie d'une famille de vignerons réputée et les vins qu'elle produit. Le résultat est un roman inspirant pour le 21ème siècle, écrit pour l'amateur de vin plutôt que pour l’expert du vin. Richement illustré par de magnifiques photographies d'Alexander James qui a voyagé avec moi. C'est un livre que je voulais écrire et j'étais aux anges lorsque Hugh Johnson m'a dit qu'il aimait le livre il désirait écrire l’introduction. J'espère que vous apprécierez de le lire et je serais heureuse de vous dédicacer des copies. Avec mes meilleurs voeux à tous, Fiona Pour le moment que disponible en Néerlandais.